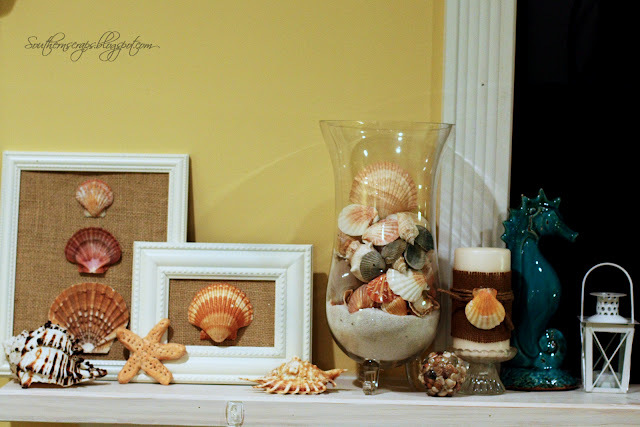 It's almost officially summer so that means its time to pull out the summer decor, particularly my coastal decor. I started with my mantel. 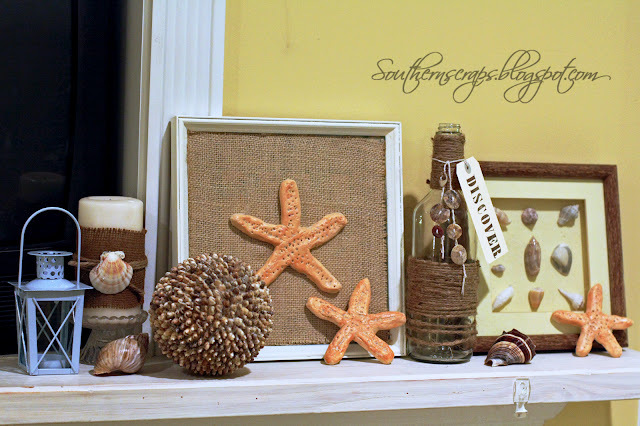 I made a large portion of my coastal decor last year. I've switched up the mantel just a little bit this year. This isn't a great shot, but here's the mantel as a whole. 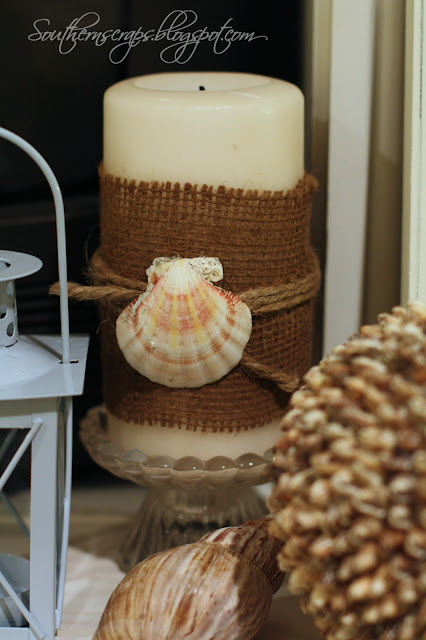 Some of this year's changes include pulling in the burlap wrapped and shell candles I used in my centerpiece last year. 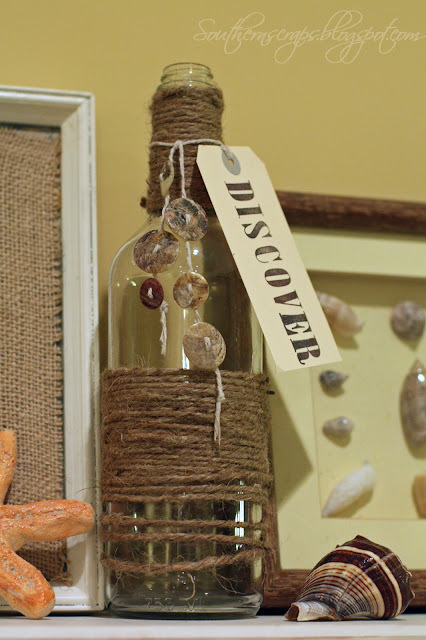 I also took an old syrup bottle and wrapped it in jute twine, stamped out a tag and added some shell buttons. The hubby liked this addition. I was inspired by charcoal and crayons to make this piece. 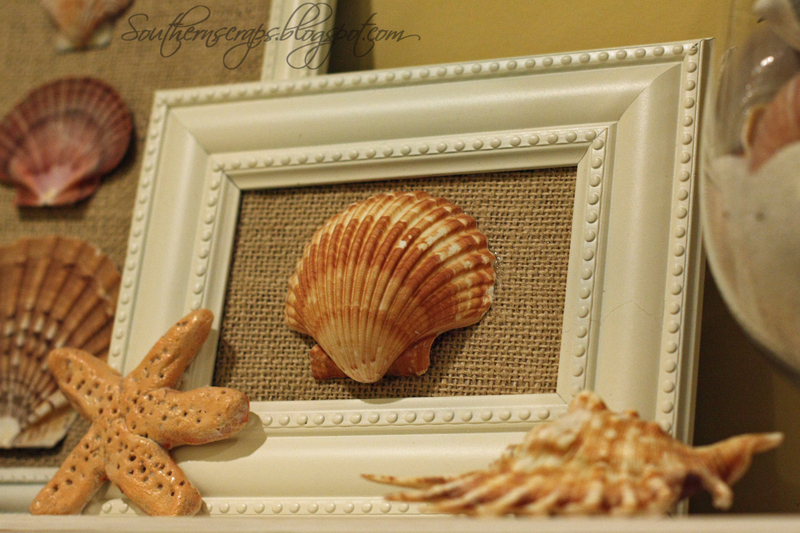 I used the sea shell art again. And the hurricane filled with shells. Hope you have enjoyed viewing my beach themed mantel. 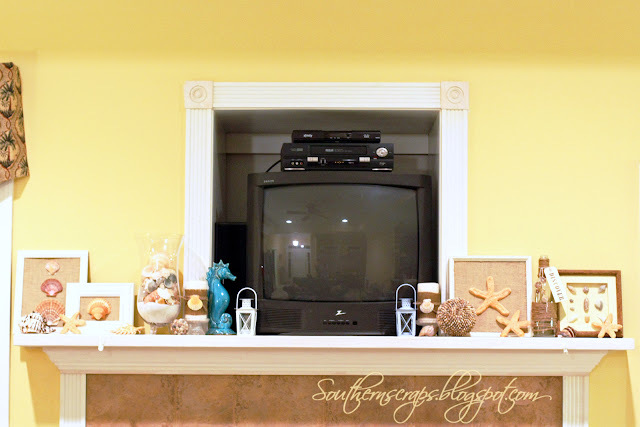 Cute mantel! Love the Discover bottle!! You have so many pretty details! I like the burlap candles especially! 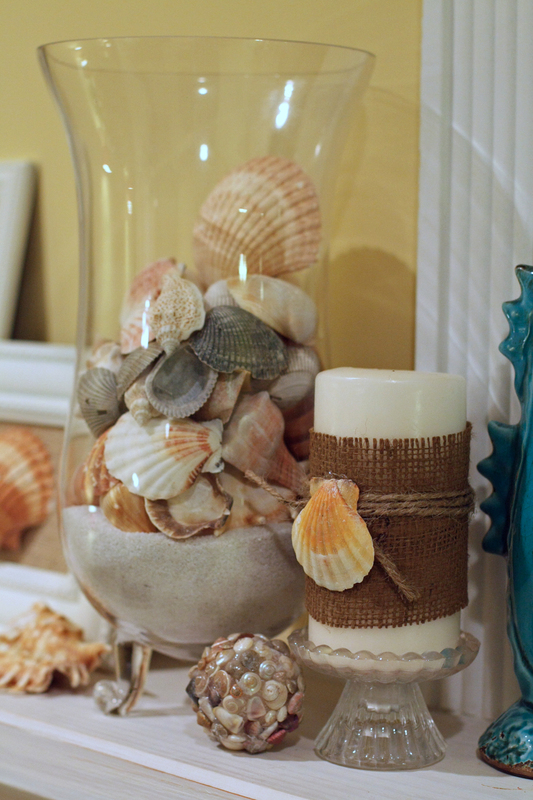 Very beachy and summery! I love beach themes, then again.. I love the beach! This is really cute and I love the color of your walls. Everything matches perfectly. So pretty! I love the burlap.